With life expectancy climbing it’s never been more important to make sure your super is in good shape. Younger people need to keep in mind that the current Age Pension and associated concessions will likely look very different by the time they reach retirement age. This means that having a healthy amount of super will be even more critical to enjoying a comfortable retirement. Once you’ve set some goals for what you’d like to do in retirement and worked out an estimated budget, you can look at strategies to maximise your super savings while you’re still working. Younger people are in the box seat because they have time on their side… a little extra contribution today can make a significant difference to a retirement payout. 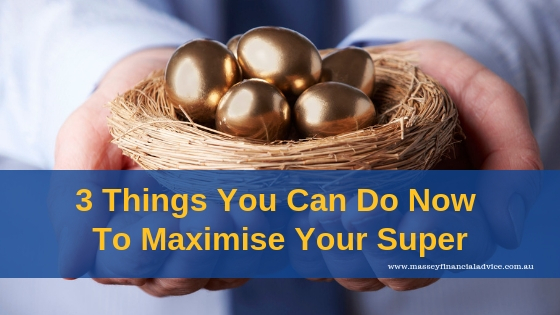 Below are three things you can do today to maximise your super. 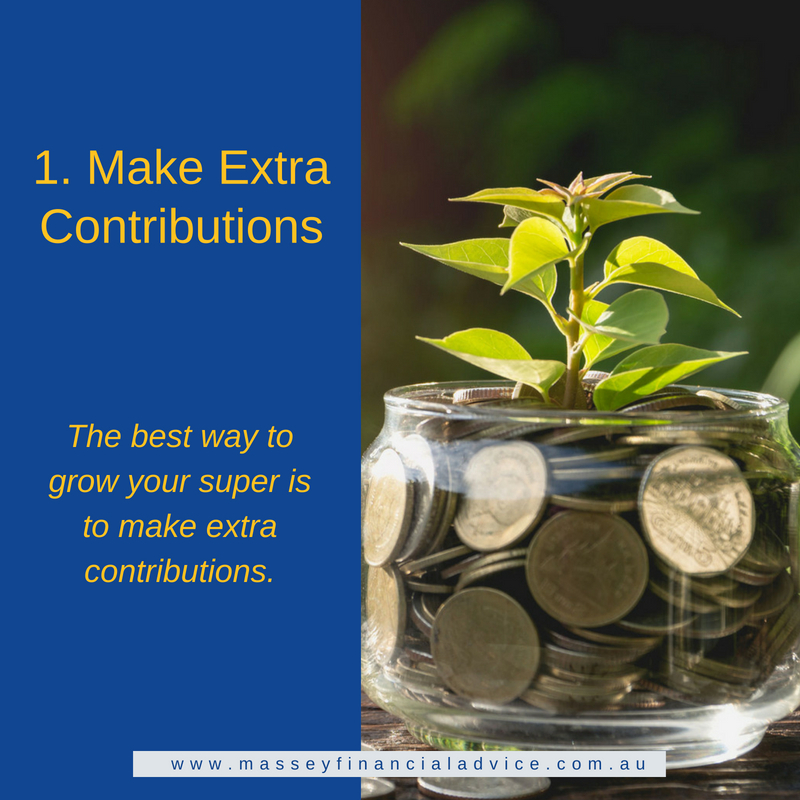 The best way to grow your super is to make extra contributions. The earlier you start the better, but even if you’re starting late in life you can still have a positive impact on your final balance. You can make extra contributions by doing a voluntary contribution or you may choose to salary sacrifice contributions. Salary sacrifice is an agreement between you and your employer where you can contribute a portion of your pre-tax salary to your super fund instead of taking it as cash. If you make a voluntary contribution, you may also qualify for the government co-contribution scheme to help you grow your super. Even though you can’t access super until you retire, making extra voluntary member contributions can help your super savings in the long term. Once you have settled on a super fund you’re happy with, it often makes sense to consolidate money from any other accounts you may have. If you have had several employers or performed various jobs, chances are you have super accounts available and you may have lost track of some of those. 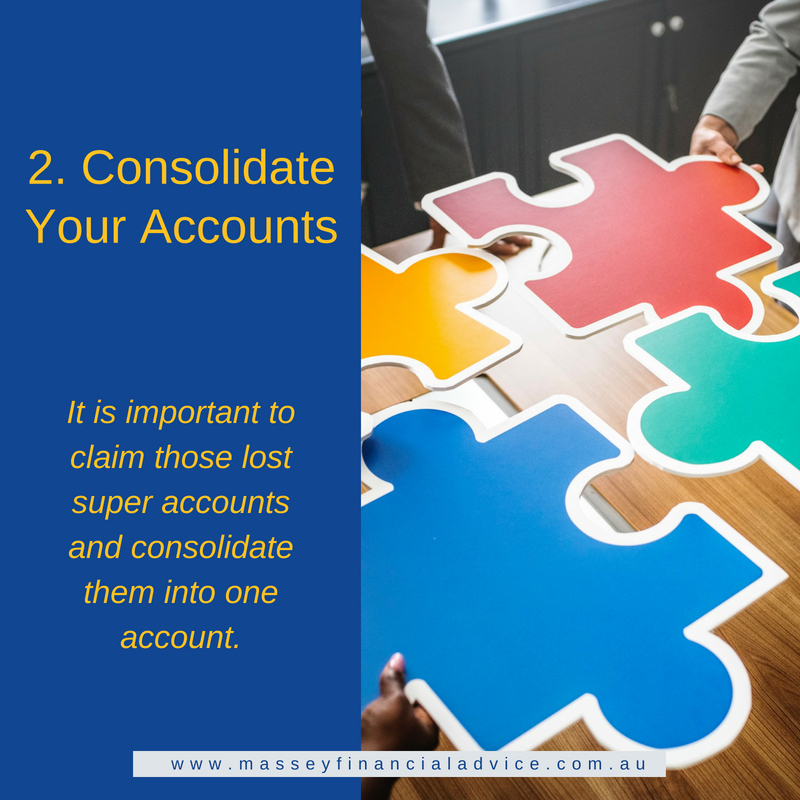 It can be beneficial to claim those lost super accounts and consolidate them into one account, once you check what benefits you may lose (such as insurance) and any costs. Having a single super account can save you time because it will be easier to keep track of everything. It can also save you money because you will pay a single management fee as opposed to multiple fees for multiple accounts. It is essential to have a plan as you approach retirement and a financial adviser can help you with this. 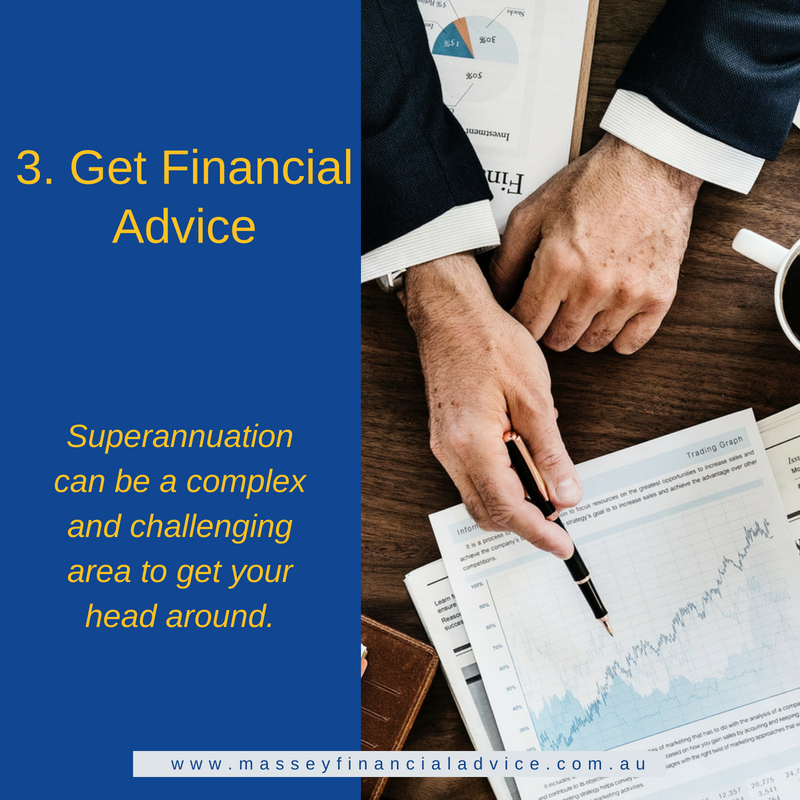 Superannuation can be a complex and challenging area to get your head around. Financial advisers can help you carefully consider a financial strategy for retirement. By planning and choosing the appropriate superannuation structure with your financial adviser it will help you achieve your desired lifestyle in retirement. Most importantly, working with an adviser will help you turn thought into action. Whether you’re planning to retire in three years or 30, it’s important to consider your super, as it is your money after all. So what are you waiting for?